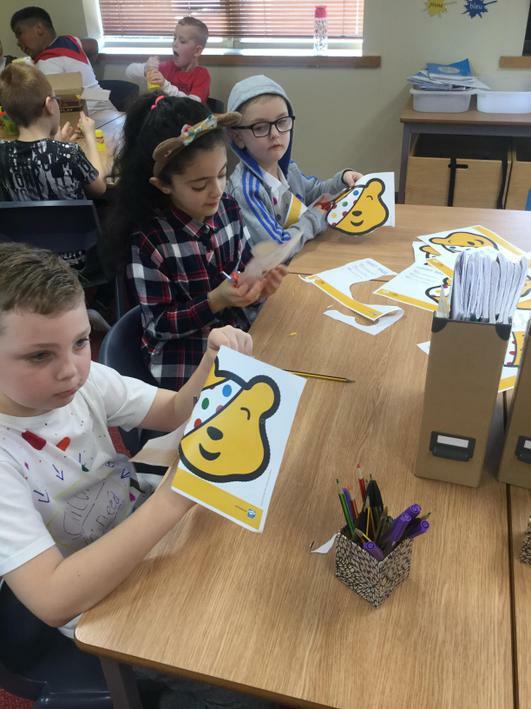 In school, on Friday 16th November, the children had a fantastic day for Children in Need. 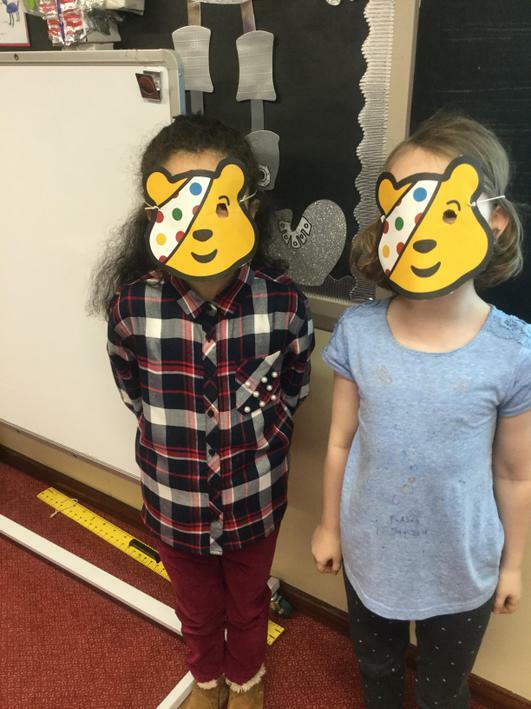 The children came to school in non uniform, some children came wearing spots just like Pudsey's famous spotty eye patch! 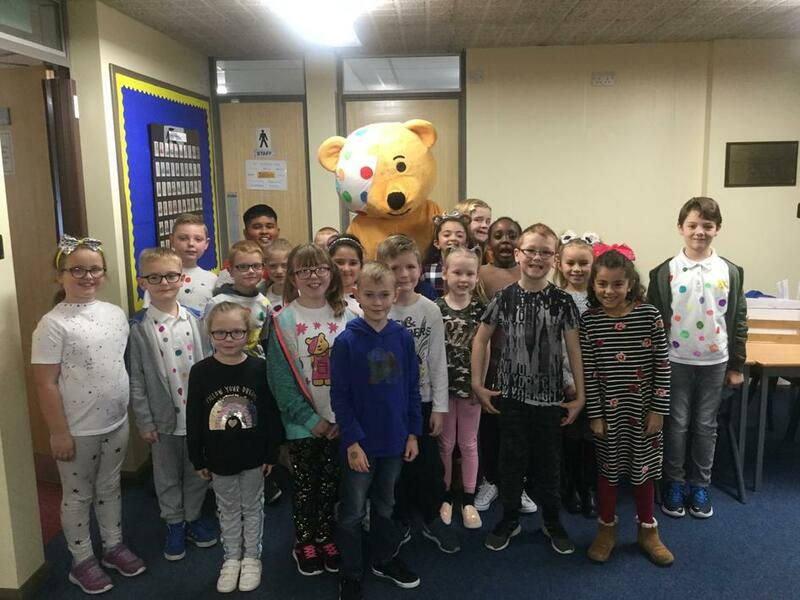 The day began with a Pudsey parade in the hall, each class took their turn and paraded around the hall to some brilliant music, everyone was dancing and singing especially Mrs Allan! 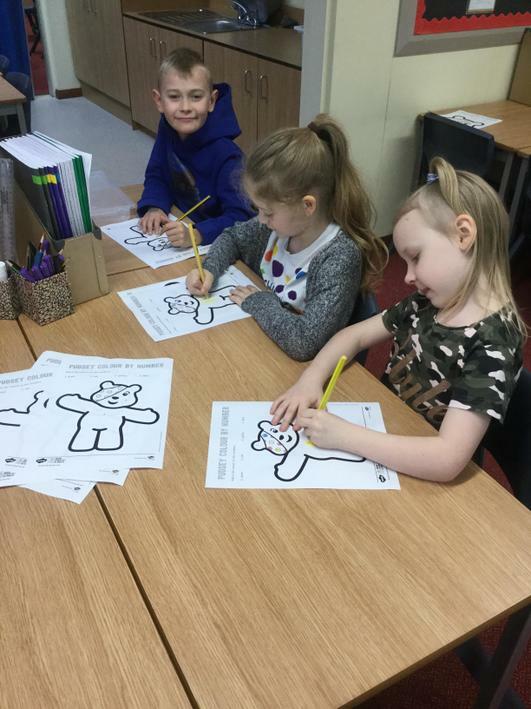 Just as we had finished we had a very special visitor, it was Pudsey! 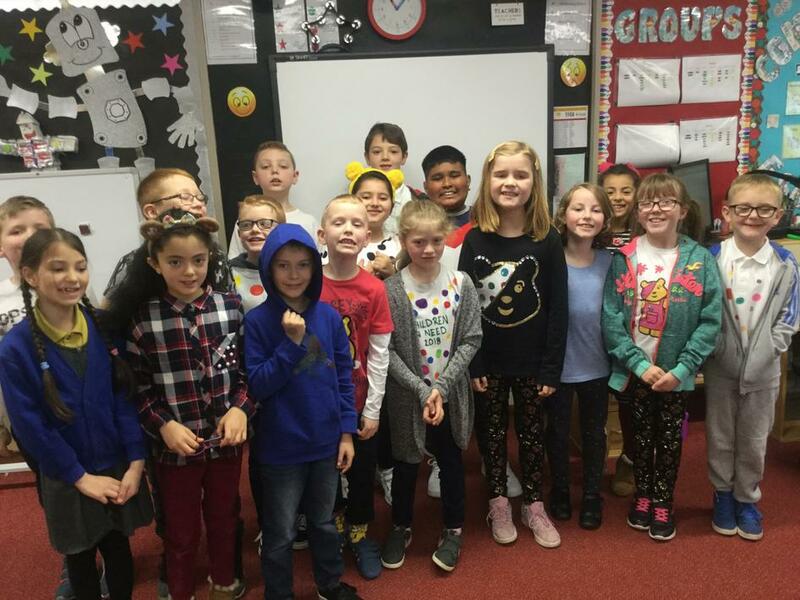 Each class had the opportunity to have a picture taken with him, everyone was so excited! 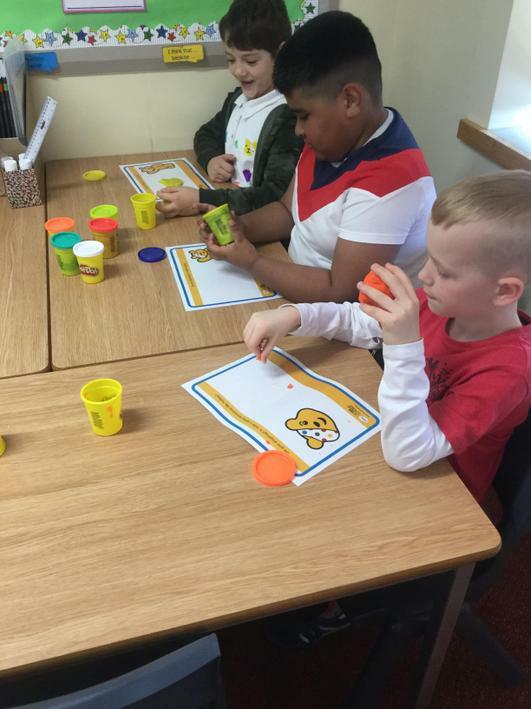 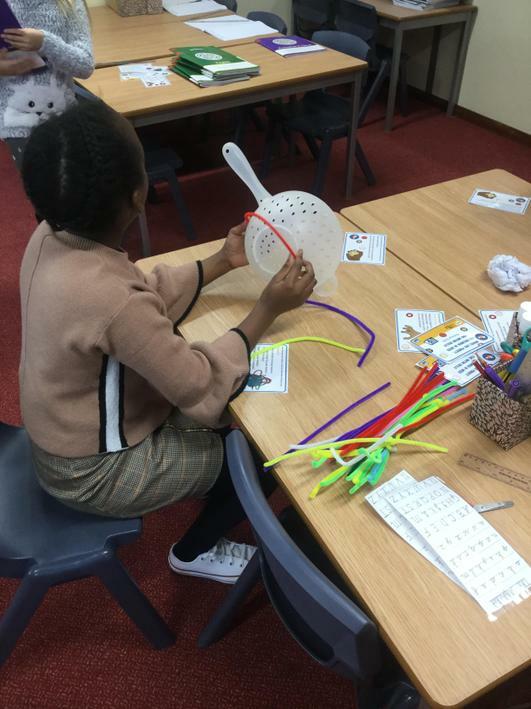 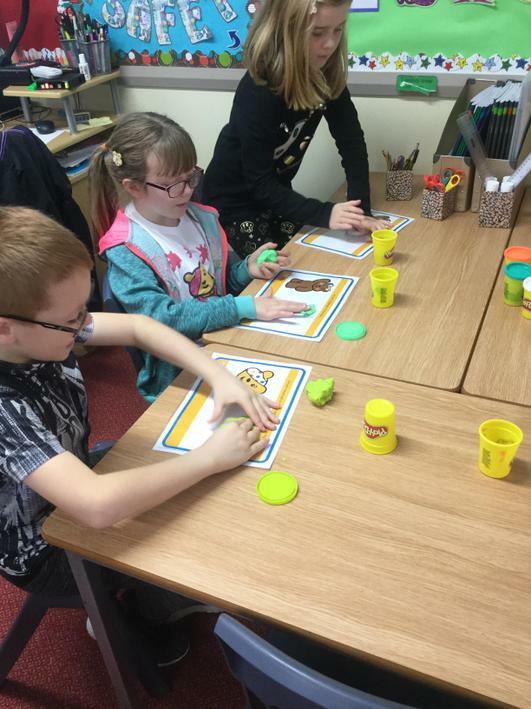 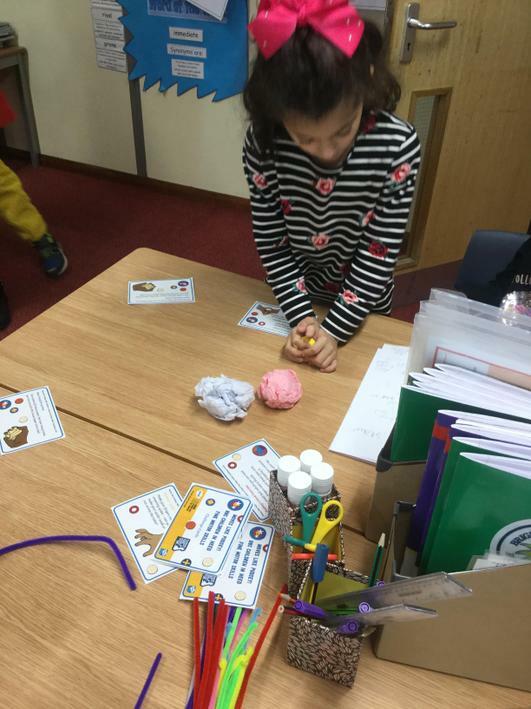 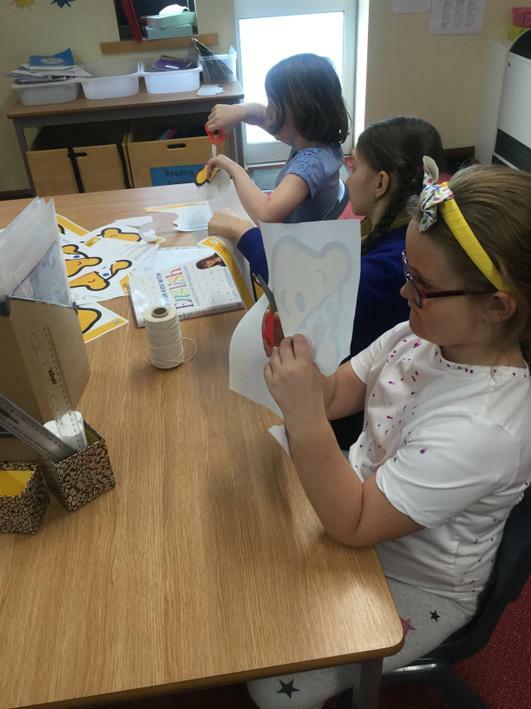 Following on from this, during golden time the children participated in various Children in Need fine motor skills activities. 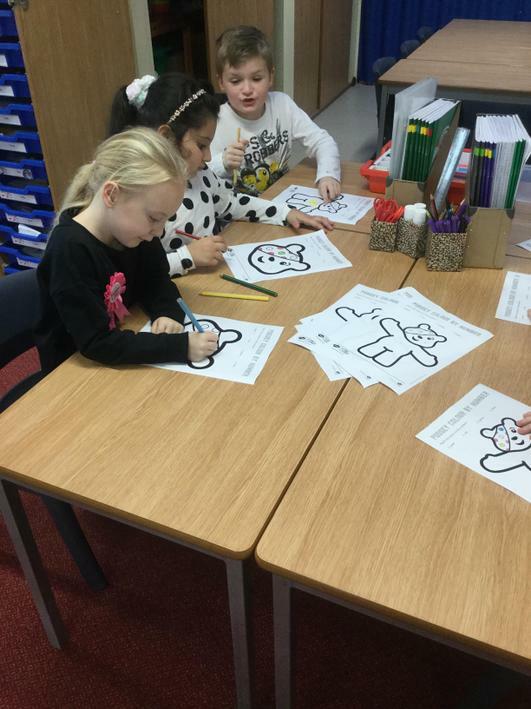 We created Pudsey masks, play doh Pudseys' and completed some colouring by number. 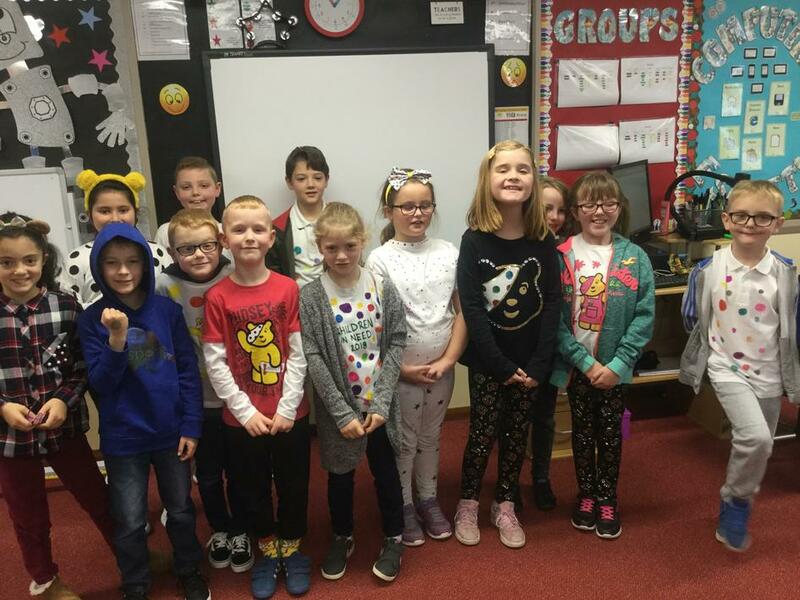 The children had a fantastic day and all looked amazing!